A 2014 Carol Award winner for Best Novella. Dex Stanton has never had much time for book learning. He's been too busy helping to provide for his family. Now that he's heading West, Dex is hoping to start a family of his own. However, his attempt to acquire a mail-order bride fails miserably when the lady writes back ridiculing his terrible spelling. Rachel Oliver may be the last person he wants to know what a dunce he is, but she's also the smartest woman in town - and it's clear he needs her help. Rachel Oliver has lingered in town for three years secretly mooning over Dex Stanton, but now, she's done. If the fool wants to write to a mail-order bride company, so be it. Once she begins giving Dex lessons, however, Rachel realizes she may not be prepared to give up just yet. As their time together runs short, can two of the most stubborn people in town set aside their pride long enough to find love? Love by the Letter includes an extended sneak peek at A Bride for Keeps. 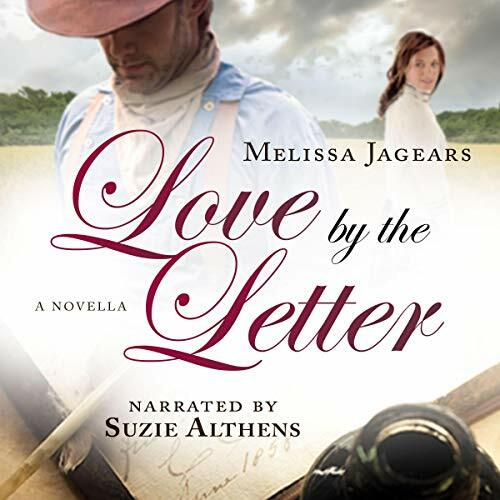 Love by the Letter is the prequel novella for the Unexpected Brides series.